In today's onshore wind market, some projects require wind turbines with large hub heights to yield a viable return on the investment. 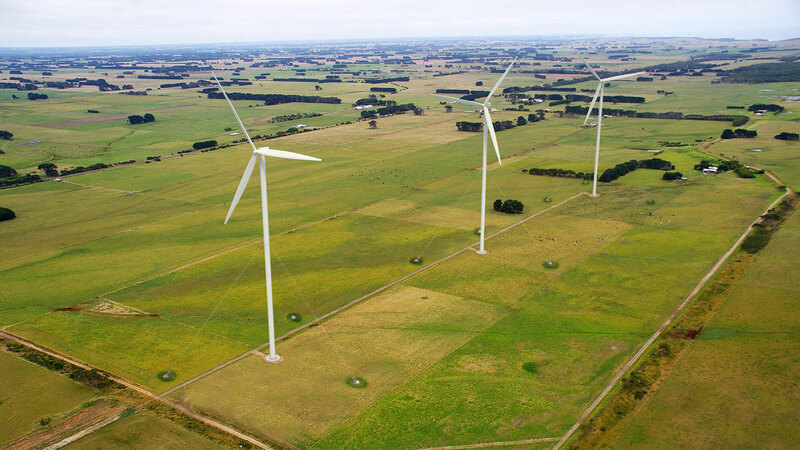 The introduction of new +4 MW onshore wind turbines also requires larger hub heights. Based on long-term experience from the design of masts and towers and involvement in the wind industry, Ramboll has developed an innovative tower concept for the construction of tall wind turbines. “We initially conceived the concept in 2003, but back then there was no market demand for such tall towers. Around 2012, more suitable hub heights came into the market and we picked up the development. With this concept, which we call the Guyed Wind Turbine Tower concept, hub heights of more than 200 metres are not a problem,” says senior tower specialist at Ramboll Ulrik Støttrup Andersen. The Ramboll-developed tower concept strengthens the traditional steel tubular tower by introducing guy ropes (stays) attached to the tower just below the rotor of the turbine. This means that taller towers can be constructed with a smaller cross section than that of traditional tower concepts. The greatest advantage of slimmer towers is the lower consumption of steel for the structure, which reduces costs. Apart from reducing the cost of the towers, the concept also significantly reduces the cost of foundations, which are generally smaller and simpler than for self-supporting towers. The tower sections can more easily be transported from the manufacturer to the installation site as the sections are well within onshore transport restrictions, which drives down costs even further. “We have calculated scenarios cutting costs by more than 30% when using the Guyed Wind Turbine Tower concept instead of alternative tower concepts,” says Ulrik Støttrup Andersen, who believes that the concept will be a game-changer for the onshore wind industry and pave the way for the production of more wind energy. “Due to the cost-effectiveness of the concept, more sites can be viable, and the small foundations required also makes repowering of small turbine sites with power upgrade feasible,” he concludes.